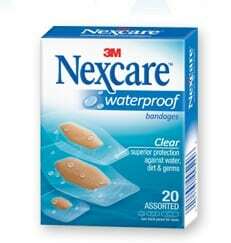 Click here to visit the Nexcare facebook and like them. Then on the “Sample” tab, watch the quick video, and then you’ll be able to fill out the form to request your free samples. Allow 6-8 weeks for your free samples by mail.